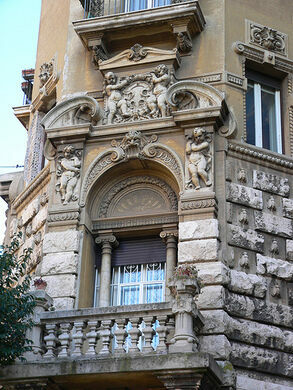 Quartiere Coppedè is an unexpected and bizarre area in Rome, nestled within the Trieste district in the northern part of the city. 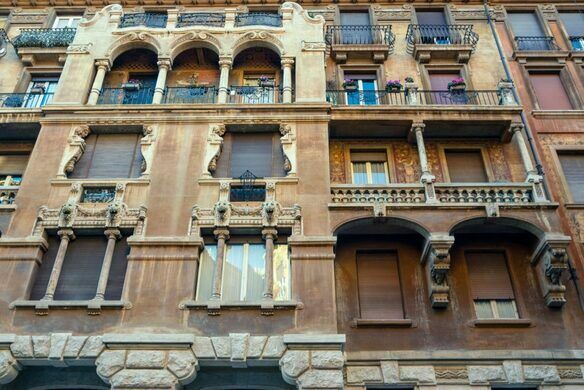 The fantastical mix of Ancient Greek, Roman Baroque, Mannerist, Medieval, and, overall, Art Nouveau mishmash was brought to life by Florentine architect Gino Coppedè in 1919 (from whom the quarter itself takes its current name). 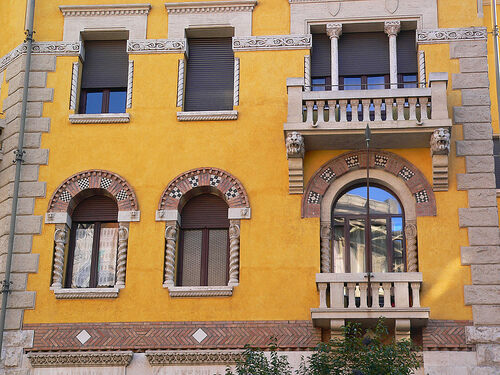 Coppedè worked on the quarter from the late 1910s until his death in 1927. A collection of objects supposedly singed by the hands of souls in purgatory. 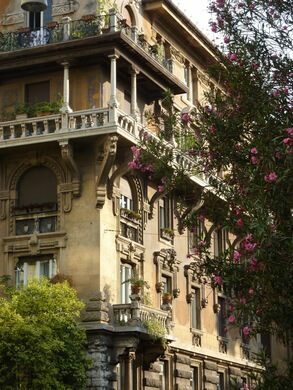 Though the Art Nouveau palaces of Quartiere Coppedè, featuring floral, mythological and medieval details, are abundant, there is plenty of space for the fantasies of Coppedè in this vast area. 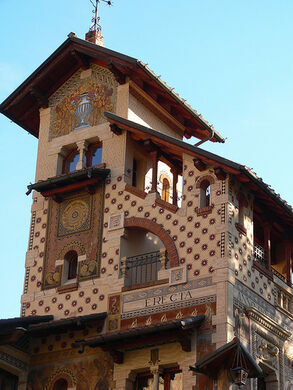 “The 31,000 square meters of the quarter (with some 40 structures) are alive with Florentine towers and Venetian palazzi decorated with external mosaics and frescoes, Baroque Roman palazzi with real and imitation papal stemmata, a sundial, and even a building devoted to a musical decorative scheme whose exterior ironwork and carvings imitate musical notation” (Source). 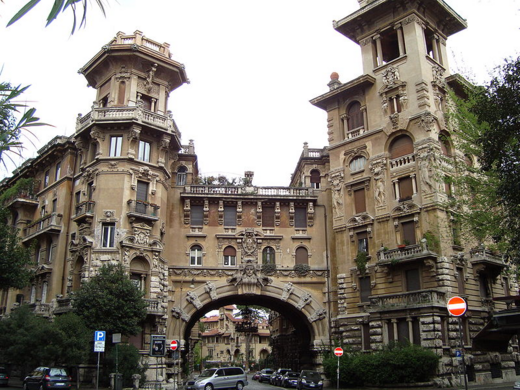 Thanks to its strange beauty, the Quartiere Coppedè has been used as the setting for a number of films, and is a fun way to leave the beaten path of Rome. 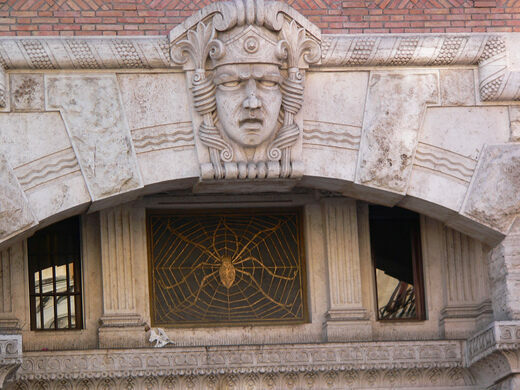 You can reach Quartiere Coppedè by taking Tram 3 or 19 to Piazza Buenos Aires, which is a short walk from Piazza Minco. 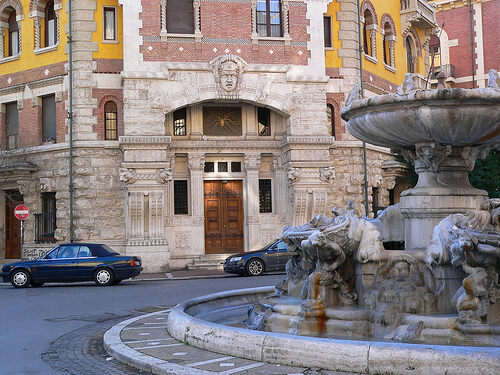 While you're there, be sure to stop by Piazzo Minco and check out the whimsical Fontana delle Rane (Fountain of Frogs), which the Beatles famously dunked themselves into after a concert in Rome. 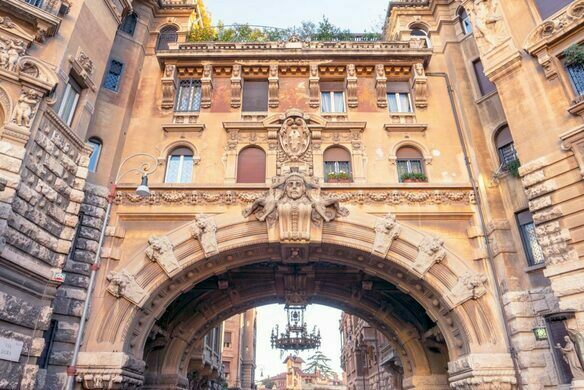 Also check out the archway over Via Tagliamento, which marks the entrance to the quarter and is where you'll find Quartiere Coppedè's whimsical outdoor chandelier, which is positioned over the road. 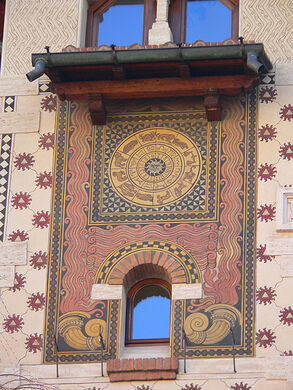 Installed in an act of one-upsmanship, the annual sundial in this church is also a symbolic victory for the Gregorian calendar. A Spanish artist builds his own castle.